Italian physicist Guglielmo Marconi began his experiments when he was barely 20, building on Heinrich Hertz's discovery of radio waves (then called Hertzian waves) in 1888. He was rejected for admission to the University of Bologna, but was mentored by Professor Augusto Righi, a pioneer in electromagnetic waves at Bologna who allowed Marconi to audit classes and access the university's library. In 1895 Marconi transmitted recognizable electronic signals from his family home in Pontecchio to a vertical raised antenna more than a mile away. Though it seems astounding in retrospect, Italian government officials were uninterested and unwilling to fund his work. Instead Marconi came to England, where his demonstration was greeted enthusiastically by Sir William Peece, Chief Engineer of the Post Office. With funding from Peece, Marconi received a patent for wireless telegraphy in 1896, and the next year he formed the Wireless Telegraph & Signal Company Limited (now Marconi Company Ltd.). By 1899 his company was providing wireless service between Britain and France, broadcasting across the English Channel. In 1900 he invented a system of tuned multiplex telegraphy, allowing multiple broadcasts to be sent on distinct frequencies — technology which later became the foundation of 20th century broadcasting. In 1901 he sent signals across the Atlantic Ocean from Europe to Canada and back, proving that radio waves followed the curvature of the earth and establishing that trans-oceanic transmissions were feasible. Though Marconi did not mention it, a key component in his receiving equipment seems to have been appropriated from the work of Indian scientist J. C. Bose. 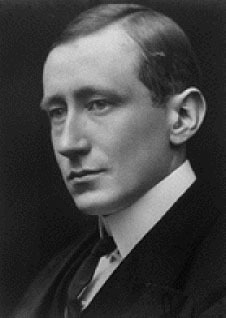 Marconi was awarded the Nobel Prize in Physics in 1909, sharing the honor with Ferdinand Braun, whose technical improvements greatly increased the range and effectiveness of Marconi's early transmitters. As radio transmission of telegraph messages and, later, spoken words became more common and popular, Marconi's several international companies made him a very wealthy man, but more and more of his time was consumed in legal battles, defending his patents against Lee De Forest and John Ambrose Fleming, among others. In 1919 US Navy officers expressed concerned that an Italian conglomerate was gaining a near-monopoly on worldwide communications, and offered General Electric a lucrative, legal monopoly on long-distance radio communication if it would form a new radio company and buy the assets of the Marconi Wireless Telegraph Company of America. This proposal led to formation of the Radio Corporation of America (RCA) and drove Marconi out of the American market. Though his genius and contribution to the development of radio are inarguable, it is a misnomer to label Marconi "the inventor of radio". In 1866, a Washington DC dentist and electronics enthusiast named Mahlon Loomis had transmitted radio signals between two mountaintops 15 miles apart. In 1885 American physicist Amos Dolbear patented a wireless telegraphy system very similar to Marconi's, similar enough that Marconi had to purchase the patent to establish his American subsidiary.